Wow. This album ranks among Frisell's best, up there with Quartet and Go West. Jim Keltner and Viktor Krauss are still lending their considerable talents to the sound, but adding to the rich textures of this album are Greg Leisz on pedal steel and dobro, and Frisell's old New York City pal Wayne Horvitz on organ. With the addition of two new members to the trio from Gone, Just Like A Train, the sound becomes much denser and much less clearly defined. Frisell's use of loops and music boxes and Horvitz's samples create sounds that float in and out of the pieces like thoughts that have come and gone. This album is not at all the guitar vehicle that Gone, Just Like A Train was, but rather a true melding of five sounds. It is sometimes hard to pick out who's who on the album because everything is so seemlessly blended together. In the liner notes to Songs We Know Frisell said that he lives for moments when he is playing the same note as someone else and he can't pick out his own sound from the mix. There are plenty of those moments for the listener on this album. The writing on this album is close to the writing from Nashville, simple and beautiful melodies that echo American songwriting in country and rock veins. It also has the wistfullness of that album, a bittersweet tone of memory. The epic sounding "Rain, Rain" and "Roscoe" is something to wonder at: it is wistfulness and nostalgia that has been woven into music. 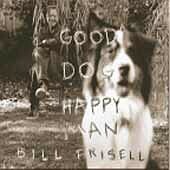 The album is the furthest progression and exploration of the ambient themes in Frisell's albums where he explores gentle and beautiful textures over folk themes. 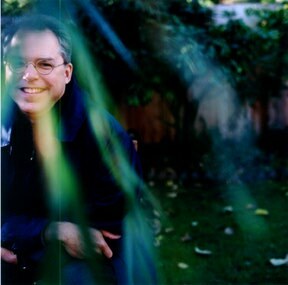 It is Frisell's gift that he can use unusual techniques to make wholly new music that sound like time tested standards.